A beautiful snack in a bit of beautiful light. An orange in a wax paper bag taped with my favorite washi tape, and a sunny Apricot granola bar that tastes *exactly* like that pre-packaged super-sweet oatmeal I ate as a kid. *note that these are NOT certified gluten-free, but neither myself nor my friend have issues with them. I just wanted to make people aware! It's snack time at work! "I am the Lord's servant," Mary answered. "May it be to me as you have said." I am the Lord's servant. But if I can't hear what he is saying---nay, if I don't LISTEN to what He is saying--how can I say, "May it be as you have said, for I am your servant"? It is so easy for us sometimes to put our hands over our ears and say, "La-la-la-la-la, I can't hear you!" I cup my ear to the door, I fervently search the Word, I petition and lay in anxious wait for answers. May my ears be listening--may my heart be hearing. May it be to me as You have said, and as You are saying. Yes, Lord, I am your servant. thanks for the eye candy with the lovely photo and the spiritual nourishment as well. this short post really spoke to me. thank you for your brevity, and your simplicity! 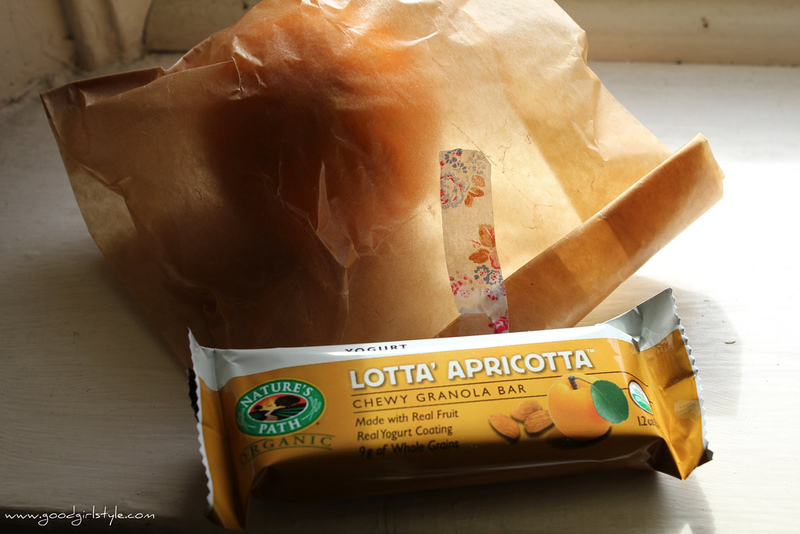 such simple details can really make the simple things of life, like a quick work snacktime beautiful! oh, and concerning frugal february...thanks for the advice. now that it is march i did buy a new purse. but it was oh so adorable...and only $10...and it was in my budget...haha! Wonderful Devotional Natalie... I definitely understand about listening to God... it can be hard to decipher what He tells us.... but searching the Word is always a great place to start! sure that you might be obtaining the optimal price probable.